Final Cut Pro is professional video editing software developed by Apple Inc. Final Cut Pro allows users to edit videos with multiple video editing features, including moving and trimming clips, multicam editing, 360 degree VR editing, VR headset playback, special effects, color grading, etc. It’s a nice choice for pro video editors, but it also has some drawbacks and limitations such as only compatible with macOS High Sierra or later. Therefore, we here introduce 5 best Final Cut Pro alternatives for someone like Steve Davis to edit videos on Mac. Joyoshare Media Cutter for Mac is an easy-to-use yet powerful video cutter, joiner and editor. It enables users to split videos into pieces, slice off the unwanted parts, merge the video clips together, and edit the video in the way you wish. For instance, you can adjust the contrast, brightness, hue and saturation of the video, apply special video and sound effects, add watermarks, subtitles and texts to your video, etc. You can preview the video changes when you’re editing. 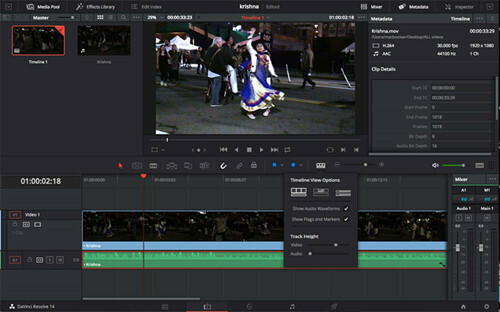 Joyoshare Video Editor lets you cut and edit videos without any quality loss at 60X faster speed. It also supports a wide range of audio and video file formats like MP4, MKV, AVI, WMV, XviD, DV and HD video formats, MP3, FLAC, AIFF, AU, OGG, WAV, WMA, AAC, AC3, M4A and so on. After editing, you can export your video onto many popular devices such iPhone, iPad, Galaxy, game consoles and smart TVs, etc. This is another high quality Final Cut Pro alternative for Mac. 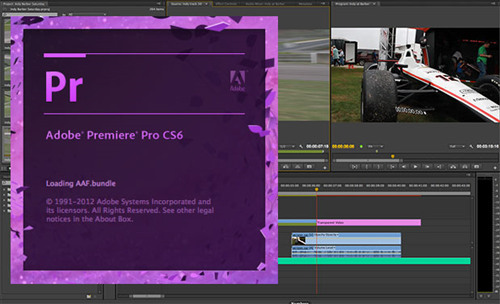 Like Final Cut Pro, Adobe Premiere Pro is also a professional video editing program to edit and create amazing videos. With it, you can trim clips in your project, add transitions and effects, edit multi-camera angles, set color adjustments and effects, edit audios, titles and captions, view 360 degree VR footage and change the field of view and etc. One great part of this software is that it works well with other Adobe apps such as After Effects and Photoshop. Another similar software and alternative to Final Cut Pro recommended here is DaVinci Resolve. This is a wonderful video editing tool for editors, colorists and audio professionals. DaVinci Resolve integrates professional editing, advanced color correction and incredible audio post production into one system. With the program, you can now trim and edit videos, process the images, mix and deliver audio post at a very fast speed. The good news is that DaVinci Resolve offers a free version, so that you can try the software before you pay one if you need. If you’re looking for a simple video editing tool as an alternative to Final Cut Pro, you can refer to Flimora Video Editor from Wondershare. 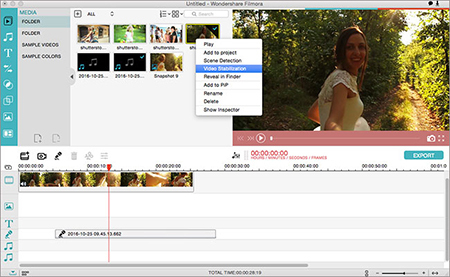 It is a useful and easy-to-operate video editor that allows you to edit videos in a simple way. Flimora Video Editor for Mac supports tons of media file formats including MP4, MOV, F4V, M4V and MP3, M4A, WMA, WAV, etc. You can use it to do the easy trimming, splitting, cropping and merging clips, or add filters, overlays and motion effects and so forth. Avidemux is one of the best Final Cut Pro Alternative freeware for Mac. 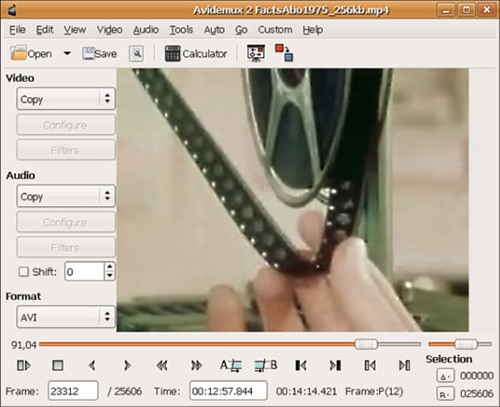 Avidemux empowers users to cut videos into parts frame by frame, adjust the video’s brightness, contrast, color, saturation and hue, embed subtitles into the video, smooth images, reduce noise and more. It accepts many common input and output video file formats like 3GP, FLV, H263, MP4, AVI, ASF, MPEG, etc. Besides Mac OS X, the program is also available for Linux, BSD and Microsoft Windows. When you search for a reliable Final Cut Pro alternative for Mac, first you need to consider what kinds of tool you want, a professional one or a simple one, a free one or a paid one. If you want an easy-to-use video editor, Joyoshare Media Cutter or Wondershare Filmora can be a good choice. If you need a professional one, you can try Adobe Premier Pro or DaVinci Resolve. If you’re looking for a freeware, you can go for Avidemux or DaVinci Resolve freemium. One point to mention is that all the 5 programs above are also good Final Cut Pro alternative for Windows.